We like things just the way nature made them. So you won’t find any genetically modified organisms (GMOs) in our products. While some of our ingredients may be difficult to pronounce, we adhere to the INCI (International Nomenclature of Cosmetic Ingredients) naming system and use the official names of ingredients. While some ingredient names don’t always sound that natural, they are. We use proper technical namesso you know exactly what you are putting on your pet. We use only the finest ingredients from nature and blend them in a way that has the most benefit. We leave the rest to nature. It’s not enough to make products with great ingredients; it’s about understanding where those raw ingredients come from. A lot (and we mean A LOT) of effort, time and research has gone into finding the very best ingredients for our products. All our ingredients are ethical, natural and can be traced back to source. While we’ve chosen the very best possible ingredients we can find, we don’t just think “box ticked, job done”. We’re always searching formore effective natural ingredients and solutions. We partner with growers that have the same core values as WashBar. They understand the importance of protecting the environment, growing the best possible quality ingredients and not using chemicals in the process. Our growers are either organic certified or are farming without the use of chemicals. They leave their plants to do what they have been doing forever -growing goodness. We get loads of feedback from pet owners telling us how much they enjoy using our products and about the great results they get (which we love by the way). But it’s also good to get feedback on how we’re performing as a business. Getting peer recognition and help with identifying areas for improvement is invaluable. And a little recognition goes a long way in encouraging us that we’re getting it right. WashBar began when our founder, Jules Smith, was asked to create a bar of soap to help a friend’s dog with skin allergies. When Jules realised what a difference that first bar made for Millie and her owner, she looked into who else she could help. She found loads of products made with nasty chemicals and synthetic fragrances and a lack of genuinely natural products for dogs and horses. The need was huge so WashBar was born. From that day, the business has grown. We are now found in stores all across NZ as well as a growing global market. 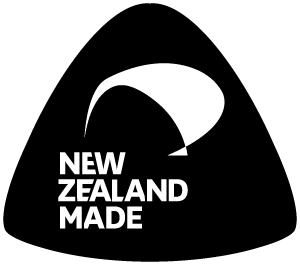 From a single bar of soap, WashBar now has a range of products, all researched and developed in-house and manufactured in state of the art facilities in New Zealand. In addition to our current range, we have several ground-breaking products in development. As always, nothing ever stays the same, and in 2018 the business officially changed hands to Andy and Lou Knight who, with Jules’s blessing, are charged with taking the company to the next level. There are more exciting times ahead for this small and passionate business! Lou is the new Jules. Lou is loving spending her time on something more meaningful after spending time in an office, working for someone else. The kids talked her into getting a dog after years of nagging, and lo and behold, she just loves him and has thrown herself in boots and all! But seriously, putting the consumer (in this case, the dog) at the centre of everything she does, this is the reason she gets up in the morning. She loves hearing from people – so flick her an email and tell her about your day. Away from WashBar, she is pretty handy on the golf course, and can be found chasing pars to improve the ever-elusive handicap. Badger is one seriously laid-back pup. He likes to hang out in the office with Lou while she’s working, and is a good reminder of what’s at the heart of this business. With his tail up, ears pricked and nose out, he gets excited about exploring the streets of Khandallah on his daily walk, usually making new friends along the way. He loves a good tummy rub, and he can often be found barking at the cats that wander onto our property. Strangely, none of them stay for long once he makes his appearance. Andy is our guy who likes a chat. Officially titled International Business Director, he can find himself meeting with Iwi one day, and talking to customers the next. He has a bag packed at the ready, and more stamps on his passport than you can shake a stick at. As long as there’s a friendly face to chat to, he’s happy. No two days are ever the same for Andy, and he likes it just like that. As a big family man, he spends much of his down time watching or refereeing his kid’s sport – maybe reliving his glory days, maybe not. Isabel, Matt and Charlie are the crew working behind the scenes. Responsible for taking Badger on his daily walk and keeping his coat in top-notch condition, they have also negotiated a supplement to their weekly pocket money by doing official WashBar jobs. The current favourite task is stickering our sample soaps – it’s a race to see who can finish first!